Whether you are a Home developer, Retirement services company, Caravan company or an Estate agent is the UK property market going to sustain your business in the long run? One one the best ways to look at this important question is to analyse the property investment and buy to let market, where investors work right at the end of the property chain with a shrewd eye on profit and loss. The buy to let market has been very rewarding to many landlords over the last few years. The properties acquired have increased in value and typically in the UK property has doubled every seven years. As a matter of fact, 58,000 people per year become millionaires through property investment and by 2010, there will be around 760,000 millionaires through rises in property prices! By 2020 the number of millionaires will reach 1.9m! (Source: The Centre for Economics and Business Research – CEBR). 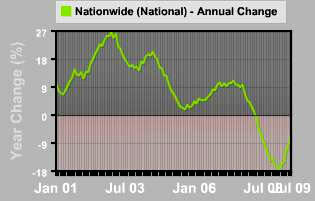 It is no doubt the best time to buy property as prices have dropped circa 18% from the peak of Summer 2007. The UK’s largest building society Nationwide’s index put the average price of a home at the close of last year at £159,900 – 20% below its peak in the summer of 2007. There are signs of recovery with lending increasing and the outlook for property prices stabilising bringing many buyers back to the market. Auctions seem to be picking up and estate agents are seeing a rise in sales activity. Now is the time to buy! By buying investment properties at discounts you are essentially protecting yourself from any downturn in the market place, so you are already ahead of the game with equity from day one. Hold on for 10 years and more than likely the property will double in value. With interest rates at their lowest, there are some good finance products out there, which means that the yields are greater. 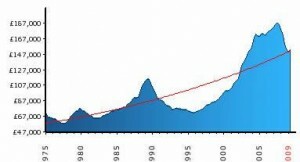 Over the past 25 years house prices have seen a boom & bust circle (See Graph below). Is this pattern set to continue? Are we seeing a recovery already? With the UK set to have an ever aging population, more single parents & well documented of shortage of property. It might be a good time to get back into property. Furthermore many “green shoots” have been documented from an increase in mortgage lending to property prices stabilising we could well be on our way to a recovery. A good sign of any recovery is the return of first time buyers, as houses are becoming more & more affordable to first time buyers. Many will start returning to the market. 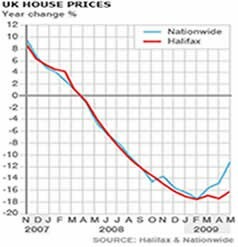 As you can see in 2008 the affordability off homes swung in the favor of first-time buyers, house have never been more affordable since 2004!. Again if this trend continues & more first time buyers enter the market, the price of property will be pushed up again. The demand for rental has increased rapidly due to the increase in population; however the current housing situation in the UK does not present the population with enough supply. According to the Office of National Statistics there will be an annual shortfall of housing in the UK of over 100,000 properties each year for the next decade. This could mean a 1 million housing shortfall by 2020 if current trends continue. This means that the demand for property is increasing therefore driving up the price of property in the long term. Furthermore the rental market is more buoyant – the regular Buy-To-Let index survey by Paragon Mortgages shows that landlords enjoyed an average yield from their investment of 16.5% in June – up from 11.9% at the start 2006. Property, Stock Market and savings? Many people often compare property with the stock market. Both are investment vehicles, which in turn will make you money and if done carefully secure you a decent pension and livelihood. However we believe property is the best mid-long term asset class for investment purposes. Well being property people we would say that, but let’s look at some of the fundamentals. Property is not as complex as Stock market trading. One can easily be hurt if they do not have the specialist knowledge required to be a successful trader. 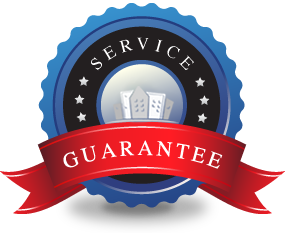 Anyone can invest in property and make big money with little risk employing our methods of investments. Say you had £25,000 and you invested in a savings account at 5% per annum, this would give you a return of £1250 (assuming no tax), whereas this same £25,000 in say one property at £100,000 with a 5 % increase in capital growth would give you £5000! For the purposes of this illustration you are leveraging the other £75,000 from the bank. Furthermore the positive rental income of say £100 per month gives you a further £1200 per annum on your £25,000. It is a no brainer! Has outperformed other investment vehicles and provided a secure return on investment (property prices in the UK have risen by a staggering 138% since 1995). A property is a tangible asset and becomes yours to see and feel unlike stocks and shares which remain the property of the company you are investing your money in. Property related industries need to adapt to recent trends but the sector will always allows have a huge potential. What are your thoughts on the property sector 2014 onwards? Leave your comments below. Our team has over 26 years of experience with over 1000 quick property sale deals completed, we will be publishing UK property news and trends and other related news on this blog at regular intervals.